Is Franco Debono not important enough to spark a Prime Ministerial reaction? 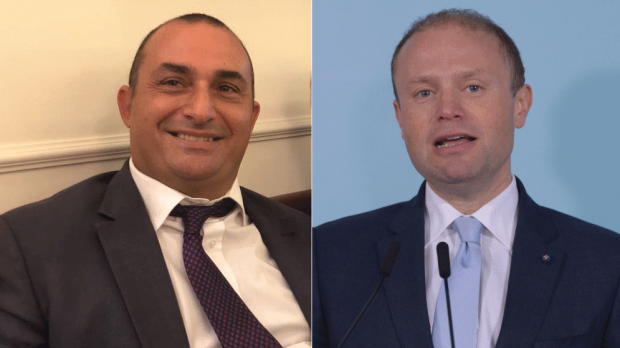 Franco Debono has lashed out at Joseph Muscat. What next? In the latest episode of the Panama Papers fallout, the Prime Minister explained that in this case he had made an exception, in suing Daphne Caruana Galizia for libel. He will not now readily let the case go, even though Daphne has since been brutally killed and cannot defend herself, and her bereaved and grieving family are battling on in the courtroom. In a show of support for Muscat, MEP Alfred Sant, our former prime minister no less, popped up on Facebook. For good measure, Sant added that the discussion about rule of law in Malta is nothing but a screen for occult, partisan and classist motives. Occult? Seriously. What is this bizarre Egrant drama turning into now – the Da Vinci Code or Angels and Demons, with secret societies and hidden rooms of esoteric texts in the depths of the Vatican library? We’ve heard enough babble about witches already, thank you very much. But instead of the proverbial hag with supernatural powers on a broomstick, a solitary jester walked on stage for a scene of light distraction. The audience was thrilled. And like the wise Shakespearean fools, who exposed home truths and stirred things up, his enigmatic speeches were also serious. An isolated odd figure, perhaps, but people did prick up their ears to listen to his riddles, hoping to gain some insight into the complicated main storyline on corruption and justice. Joking aside, on his blog Franco Debono, our Law Commissioner, has chosen to stoke the fire on the ownership of Egrant. He also stunned his readers with his allegation that the current Prime Minister is the most corrupt ever. He pointed out that the magisterial inquiry was partly inconclusive, and that the conclusions of the official report reveal inconsistencies, although without explaining the details. In his position, we must assume that Debono did not write this down lightly. In reality, a law commissioner does not play the role of jester in the proceedings – and certainly not on critical matters like this. Muscat will not rest his case until Daphne’s heirs publicly accept that what she said was untrue (is he, or is he not, satisfied with the conclusions of the inquiry?). On the other hand, he simply shrugged off Debono’s statements. Perhaps Muscat is just serving up the ultimate insult to Debono, his former classmate at St Aloysius College: that he is unimportant, or irrelevant. Are we hereby given to understand that Debono’s voice does not carry enough weight to upset Muscat? Daphne’s voice clearly did, and her influence was huge. In his blog appearance, Debono promised to say more soon. The audience are now on their seats and waiting. Studies on land reclamation in Malta commissioned by Mepa over 10 years ago had concluded that such projects would be unfeasible unless they included massive real estate development. There were also major environmental impacts to consider. This had a negative response at the time and the idea was shelved. This government’s renewed interest in major land reclamation projects by the private sector, as well as luxury high-rise buildings, is well-known and has triggered concerns about the ‘Dubaification’ of Malta. The public has not yet bought into the idea, and its implementation is still fraught with controversy. The dealings and machinations at St George’s Bay were touched upon at a parliamentary committee meeting last week. Tourism Minister Konrad Mizzi and Environment Minister José Herrera have now both said that the Corinthia project will not include land reclamation after all. This begs the question: what was the initial provision of land reclamation for that project based on? Where is the Paceville master plan for the area, which had suggested land reclamation at St Julian’s Bay too? And where are the recent studies conducted by the Environment and Resources Authority, apparently confirming the potential of the south-eastern coastline near Xgħajra, somewhere between Żonqor and Fort Ricasoli, for land reclamation? Last December a Cabinet memo on these lines was mentioned, but as far as I know the details were not published. Herrera says that with the current economic and development growth, land reclamation at sea “is necessary because it is the most long-term sustainable solution”. The available quarries for construction waste have limited space. The government is considering improving fiscal incentives for abandoned quarry owners, due to increases in prices for dumping this waste. Herrera indicated that the government is still considering a far longer stretch of coast for land reclamation than that around Xgħajra. Now, is that based on environmental studies and equitable planning, or on wishful thinking and sites specifically requested by private developers? A lack of transparency and distrust in the planning system are endemic problems in this country.